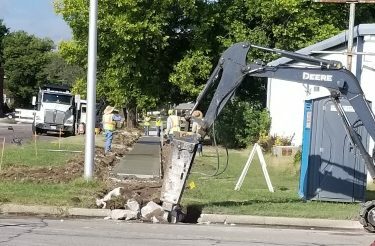 Employees of MTZ Construction of Oklahoma City have started repairs on Cleveland Avenue between Oak Street and Pine Street. The project started Monday and is expected to take 30 days, barring weather delays. The block is closed to all traffic during construction.